This is our 1/4 zip front pullover which is an all-around performer with a fabric that insulates and manages moisture. 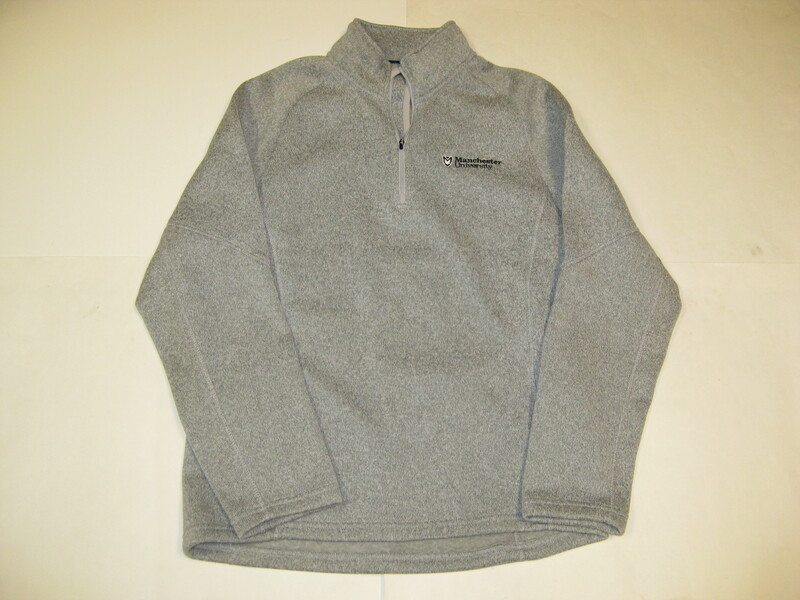 Also has a soft fleece interior which provides additional warmth. Located on the upper left chest is our Manchester University embroidered logo as well.